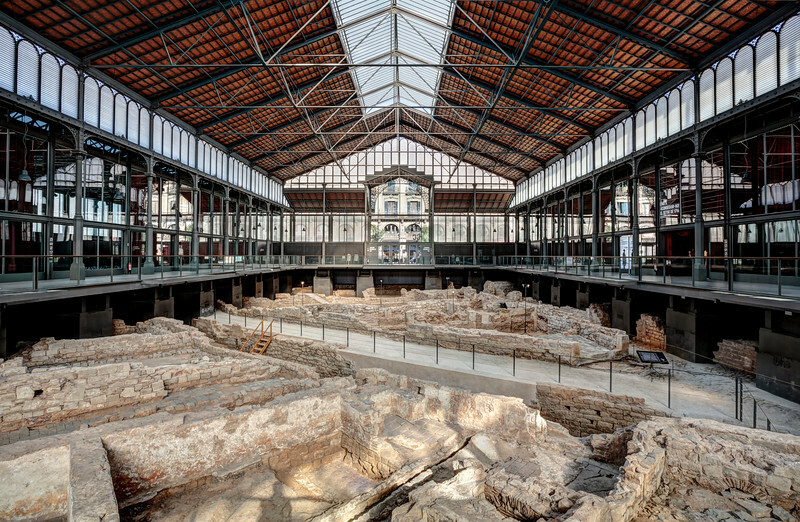 It might seem odd to find archaeological ruins like these inside a beautiful modernist building, but everything in Barcelona has a history and a reason. The building is the old “Mercat del Born;” in 2002, the local city council decided to create a new library in it. However, they change their minds after the discovery of the extensive medieval ruins under the building. The ruins were part of the Ribera district, an area that was demolished in the early eighteenth century after the defeat of Catalonia in the War of Succession in 1714.